Justin is one of the few to catch striped bass during this extended NE wind. 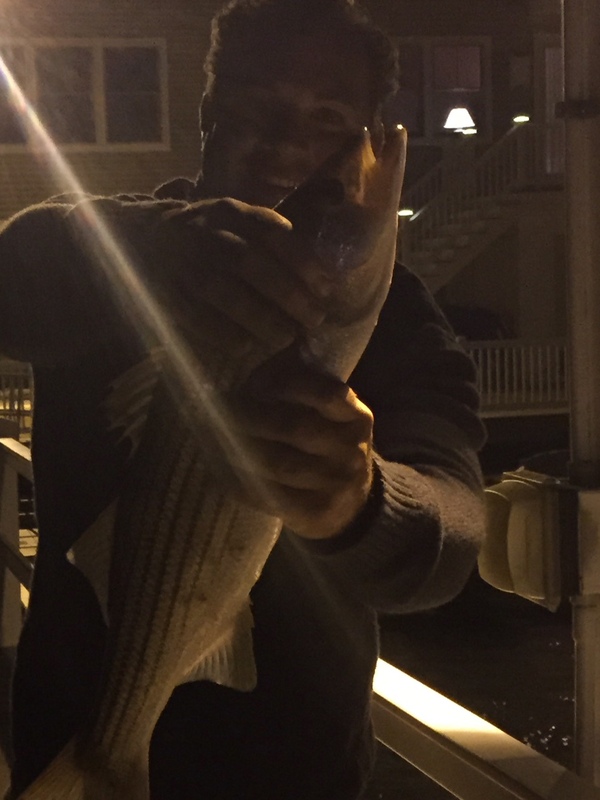 The night striped bass bite is the only one to continue, to spite days of NE wind. Everyday the wind blows from the NE the slower the fishing becomes. After a week of NE wind the fishing comes to a halt. To heat the fishing up we need at least 3 days of NW wind. A week of NW wind and the fishing will be on fire. Saltwater fishing is tied directly to the weather conditions. Hopefully, the westerly winds dominate for the rest of the 2015 fall season.